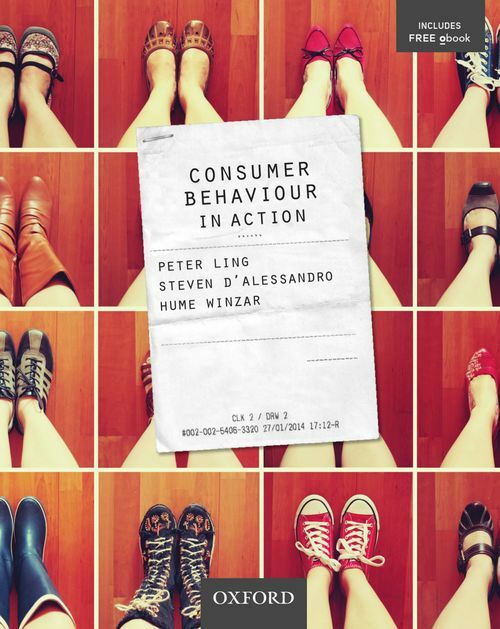 Consumer Behaviour in Action introduces marketing students to the fundamental concepts of consumer behaviour in a contemporary context. The text provides a distinctly balanced approach as it balances theory with practical applications and research methods for understanding consumers. Practical examples and case studies provide global, regional and local industry examples. Research and insights from fields such as psychology, sociology and complex systems are included. Extended cases studies covering topics such as Nike, Cricket Australia, Target, and McDonalds in overseas markets, draw together each part of the book to bring together the themes discussed and encourage students to encourage a deeper understanding of the material. The accompanying enriched oBook and supplementary digital resources provides superior ready-to-use support for both students and lecturers. Peter Ling is Deputy Dean (Communication) in the School of Media and Communication and Associate Professor in Advertising at RMIT University. ; Steven D'Alessandro is Professor in the School of Marketing and Management at Charles Sturt University. ; Hume Winzar is Associate Professor in the Department of Marketing and Management at Macquarie University.